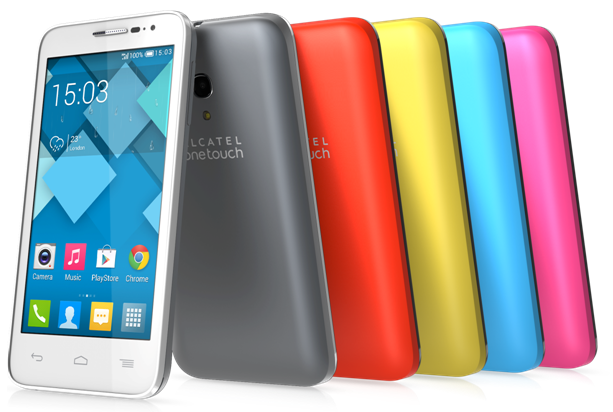 ALCATEL ONETOUCH, a brand that takes prides with simplicity and unpredictability, proudly unveils ALCATEL ONETOUCH POP D5. A wonderful welcome for many new smartphone users, it has pre-embedded apps and promises a simple user experience. 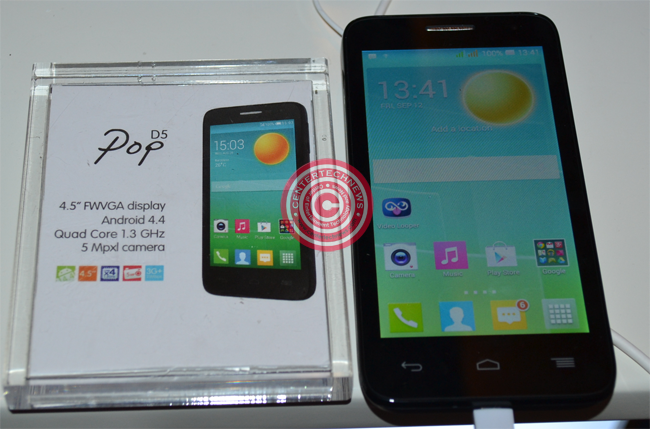 The POP D5 brings out the youthfulness of the user with a choice of 5 colorful battery doors available in the box. Now your phone can transform with simplicity and style. Designed to go with the trend of creative lifestyle, POP D5 with a Quad core 1.3 GHz processor, comes in a palm size 4.5” display. Equipped with a 5 Mp rear camera with a LED flash and HDR, POP D5 is set with panorama functions to better capture priceless memories and unforgettable landscapes. It also has a Guest Mode that can be activated through ‘lock apps’ in the settings bar ensuring the safety of your personal information. POP D5 brings the playfulness and creativity out of its owner, a perfect device with great apps and a perfect accessory on the go. POP D5 is simple, flexible, colorful and a customizable, that is not only fun, but also easy to use. Powered by ALCATEL ONETOUCH UI and stretched beyond limits by Android 4.4 (KitKat), POP D5 is already packed with useful apps, which makes it on the go right from the box. KitKat makes this phone more powerful with optimized memory and touchscreen functionality, improved voice call quality, redesigned Quickoffice and E-mail and a new emoticon keyboard. And if you think that is all, POP D5 also comes with embedded QR code reader and an option of dual card possibility. The POP D5 is a phone and an accessory that won’t just boast about what it can do for you, but would take pride on what you can do with it.